Harold Pinchbeck today, and why we are unique! There can be few businesses today that can claim family links to the same trade after 300 years. My most celebrated forebears were the two Christopher Pinchbecks, father and son, who made clocks and watches in 18th Century London, yet our company is named after my own Grandfather, Harold Hunter Pinchbeck, who lived from 1890 to 1957. 13-15 GEorge street, barton on humber. Harold trained as a watchmaker in Hull before setting up business in Lincolnshire in the 1920s (I can just remember him, but like to think I inherited his values from my Father, including an appreciation of good engineering). 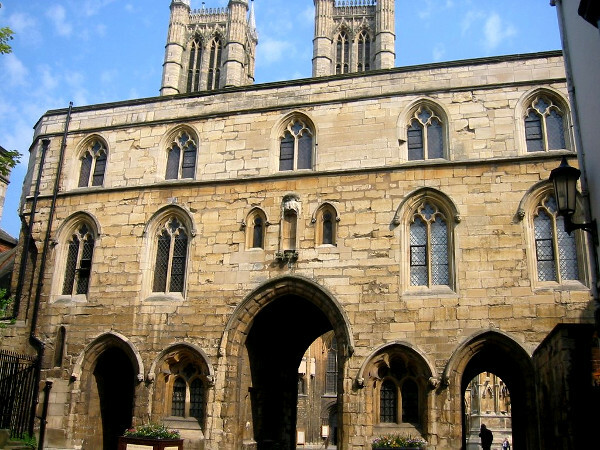 Today we work from premises built in 1350, in the heart of medieval Lincoln: unlike many other companies we don’t import complete watches, but assemble every one in England. Our simple, understated designs let you tell the time at a glance. Perhaps Harold inherited his aptitude from the 18th Century Pinchbecks, who made timepieces of the highest quality for the grandest customers, including Royalty. I hope that our current range of English watches takes its inspiration from Harold, with Christopher - and Christopher - looking over our shoulders! The home of Harold Pinchbeck Ltd today.